This is a contribution to all skaters, coaches and enthusiasts who wish to follow my understanding of artistic roller skating from the very first steps and from the most technical approach. It is also advisable for anybody who desires to start practicing roller skating, anybody who is starting to teach it or for parents who want to learn more about the sport their child is practicing and do not have enough information. This first app begins with the initial steps and escalates until the axel, and it is divided into learning stages. The basic guidelines here described, together with their correlation, aim at shaping skaters to reach the axel (one and a half rotation jump) in perfect technical conditions, and who can, in the future, continue learning over a solid base until being able to perform jumps with more rotations. This means that from the very first day of wearing the skates, every step essential to master balance to turn, have a good command of the edges, and slide is taught, achieving progressive learning until the objective is reached. 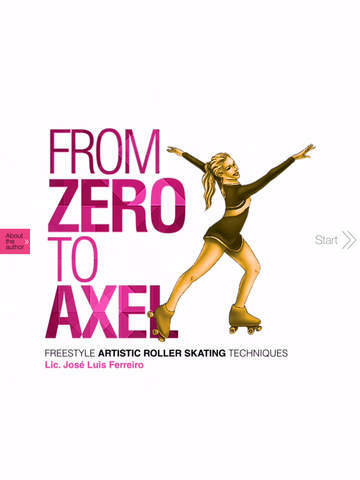 For the first time, this publication is made available to the public; an app that delves into freestyle artistic roller skating, which is divided into learning stages. Therefore, explanations and practical instructions are expressed in depth in detailed illustrations, making comprehension accessible. 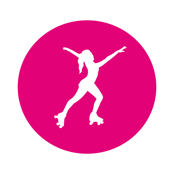 If you love artistic roller skating, this app will provide you with an opportunity to know more about this wonderful sport.